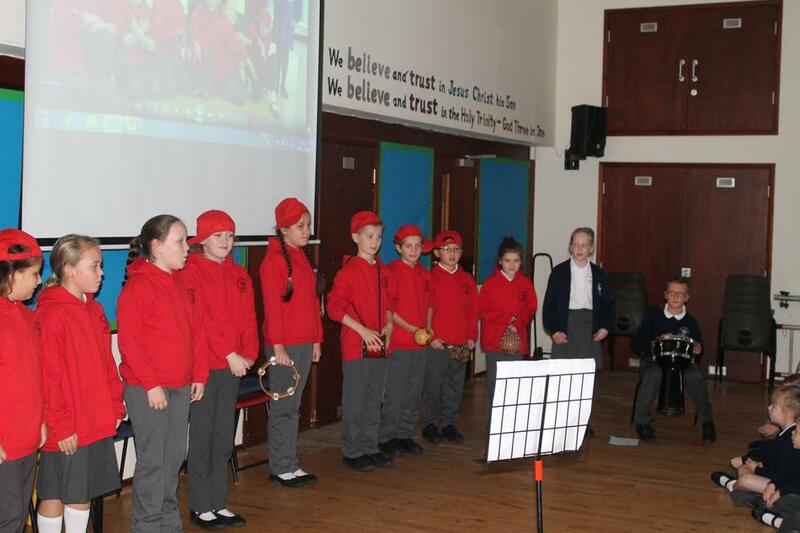 St Mark’s participated with a Positive Friendship focus. 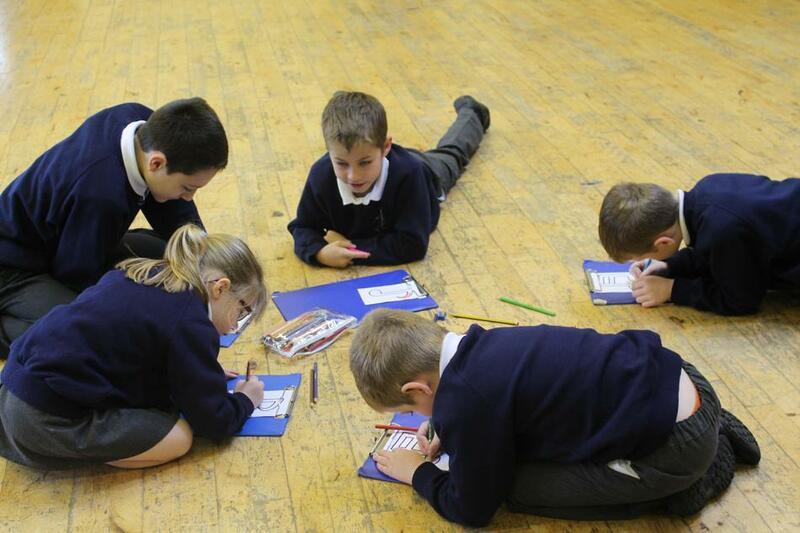 Our five core Values, Hope, Honesty, Friendship, Forgiveness and Perseverance, under-pin all the social and emotional aspects of learning that we help to support your children with. 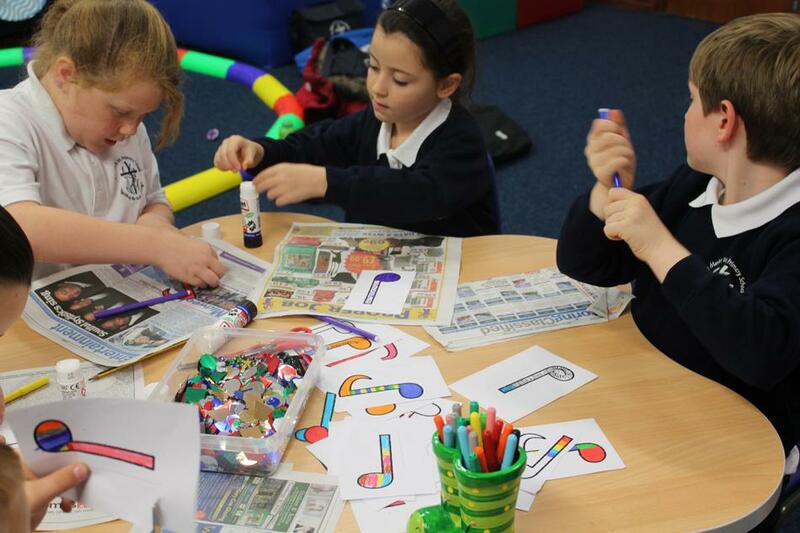 Positive social skills is something that we hope staff, children and parents all display at all times but during these few weeks we were able to really focus on what qualities are needed to be a good friend. 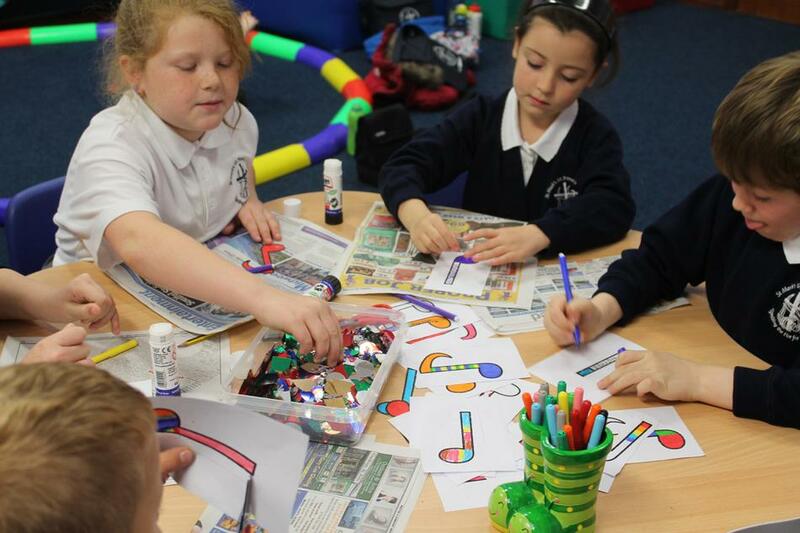 St Mark’s volunteered to be one of a few schools that made up a steering group on behalf of all North Somerset schools to spread the message and be creative in helping children remember how to be a good friend and what to do if they need any help with friendships. 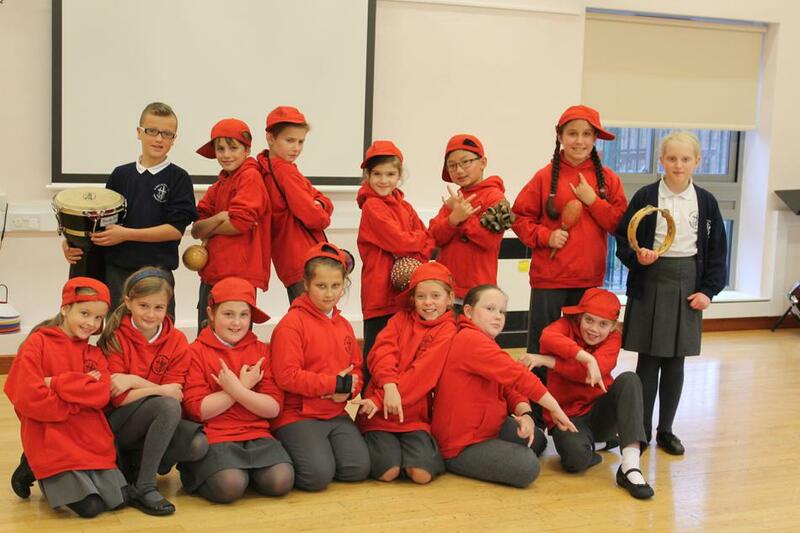 Two of our Year 6 pupils, Hannah and Max, wrote a rap which they taught to our Year 5 Peer Mentors. 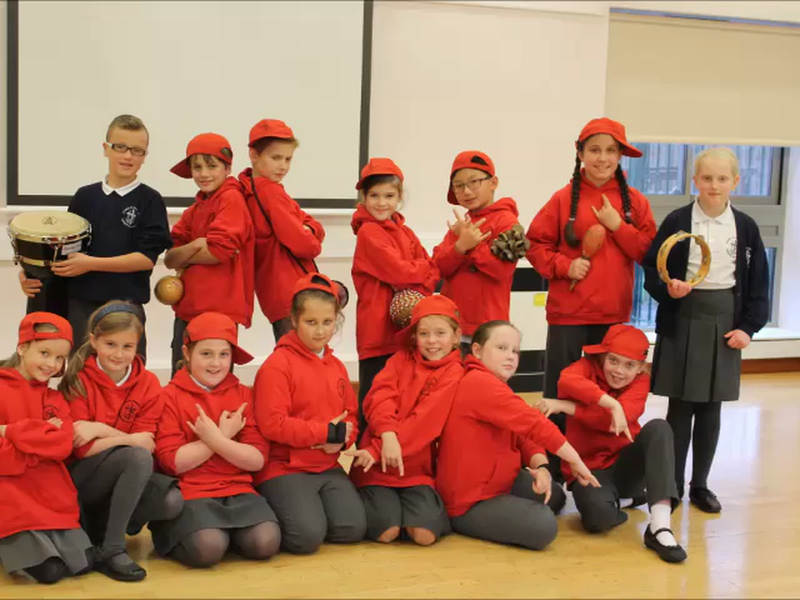 The words of the rap reinforce being kind but also remind children that if someone is being unkind to them, that they must not keep quiet about it, they can say ‘no’ or ask a friend or adult for help if needed. 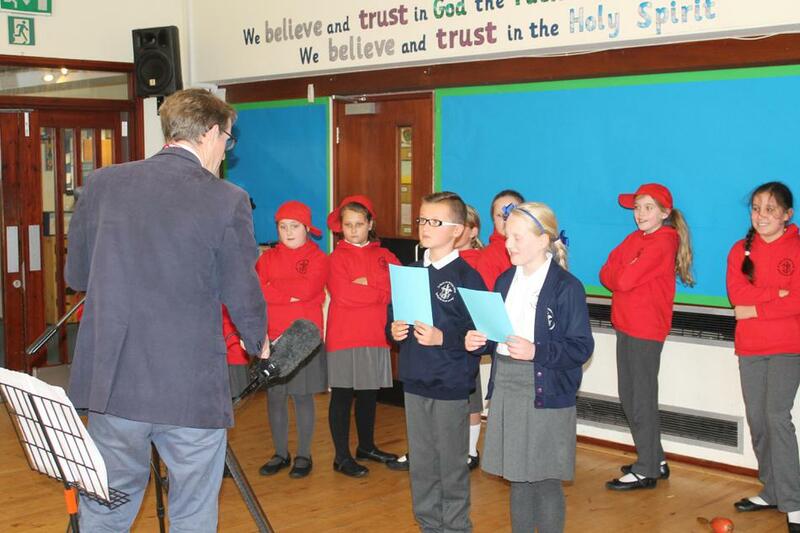 The rap will shortly be able to be viewed on our school website. 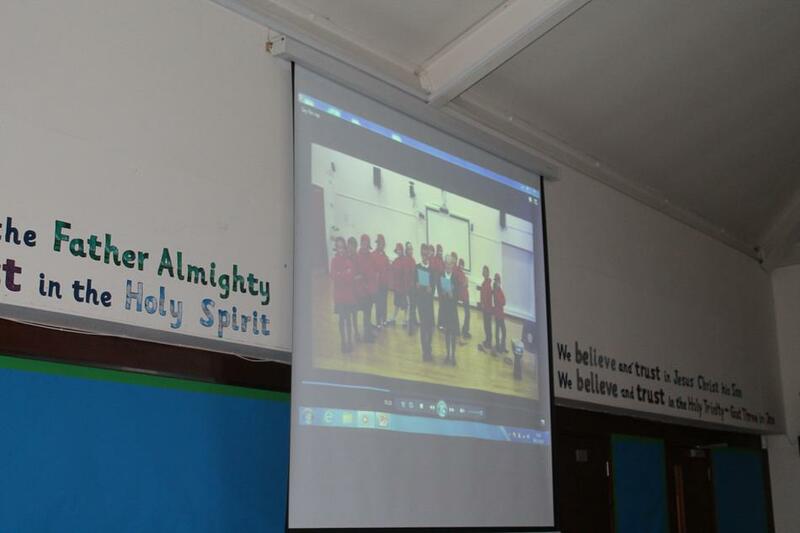 The Peer Mentors performed the rap in Service and all the children really enjoyed it. 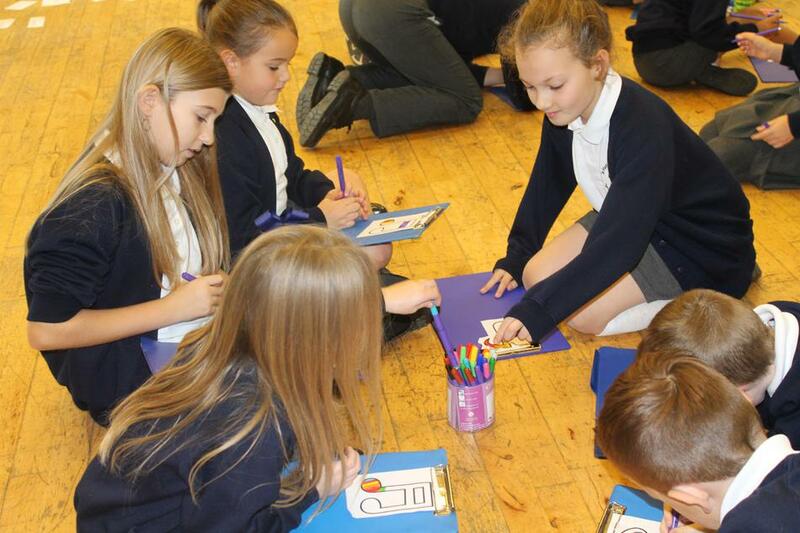 Years 1 – Years 6 have also taken part in a Family Group workshop. 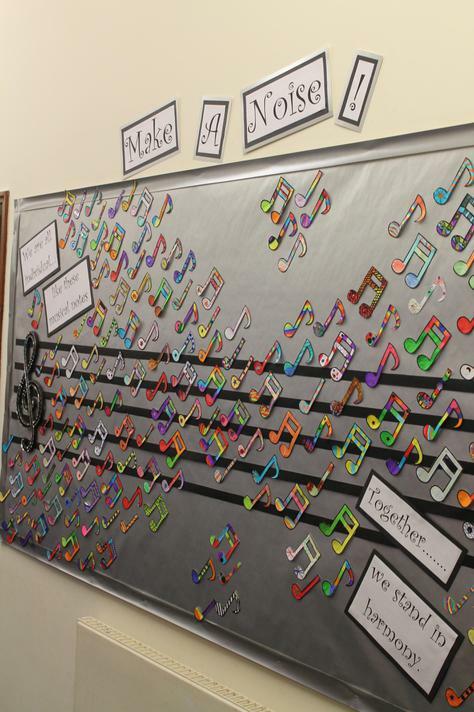 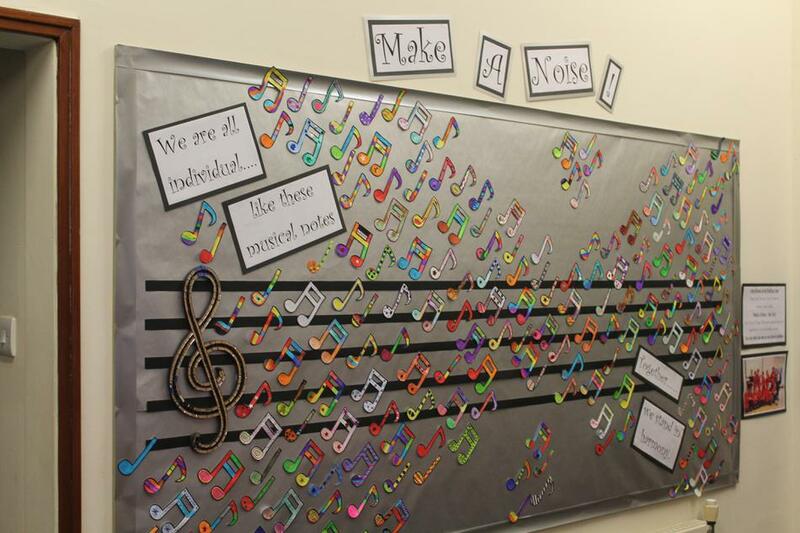 Here they all decorated a musical note to form one whole school display to show that although they are all individuals, by working together they can create one big masterpiece. 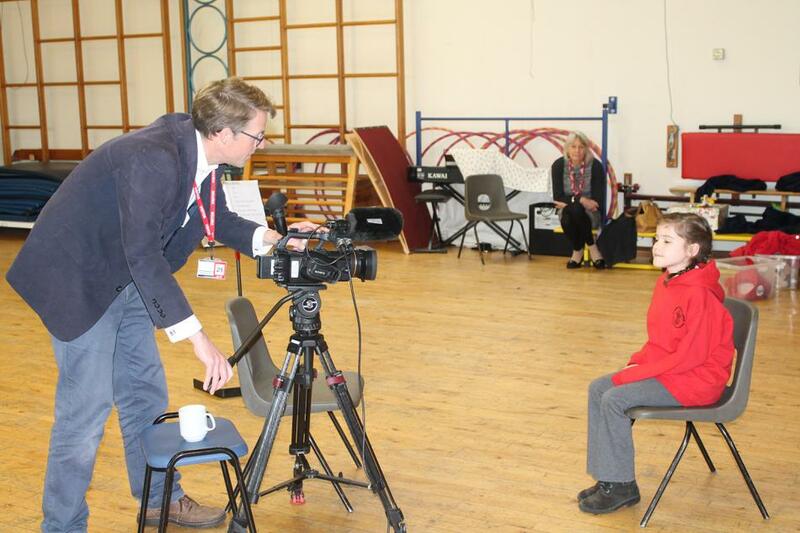 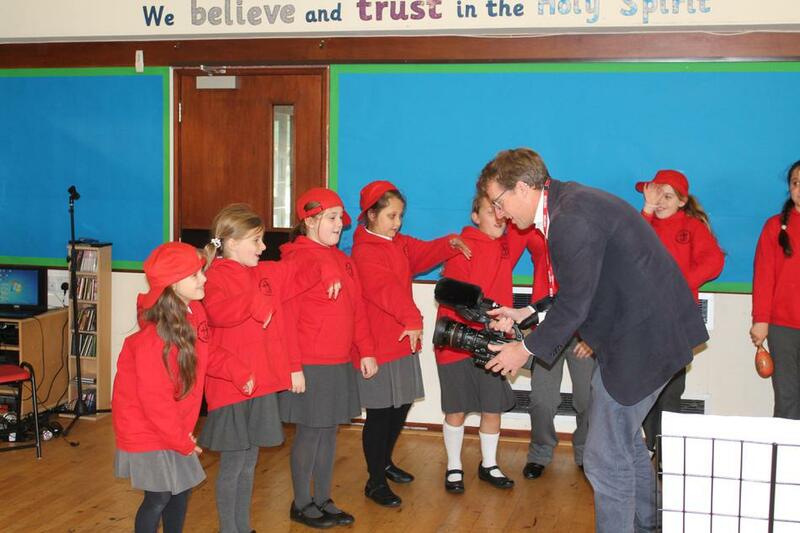 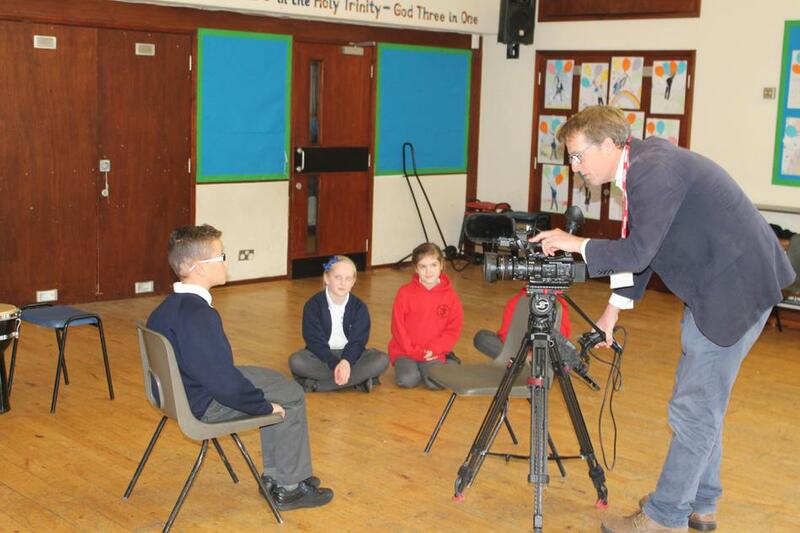 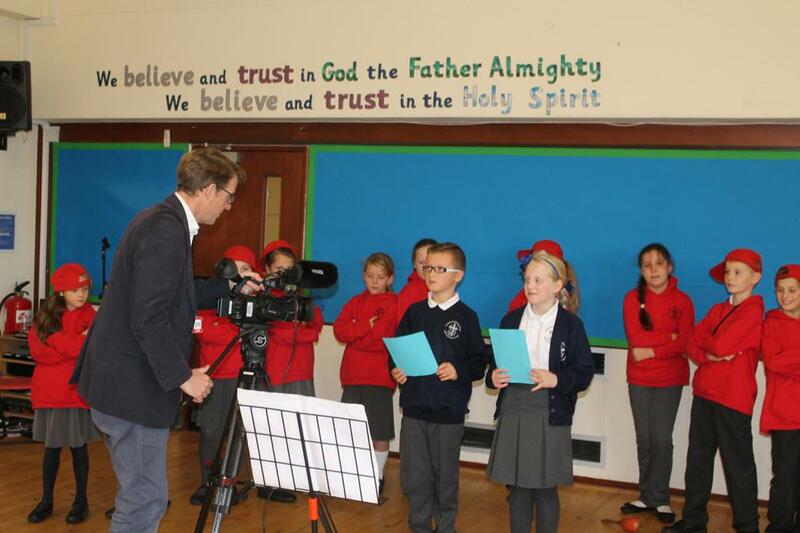 West Country News came to film the rap and it was shown on local and national news programmes as part of the National Anti-Bullying Campaign for 2015. 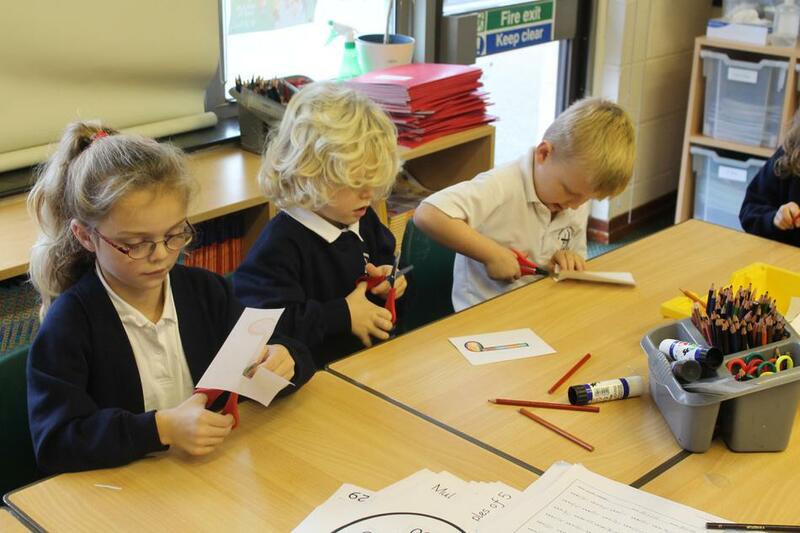 Some Key Stage 2 pupils also helped to put together some age appropriate, cartoon style booklets that were sent home to every family to use the pictures and captions as discussion points to help reinforce our positive friendships. 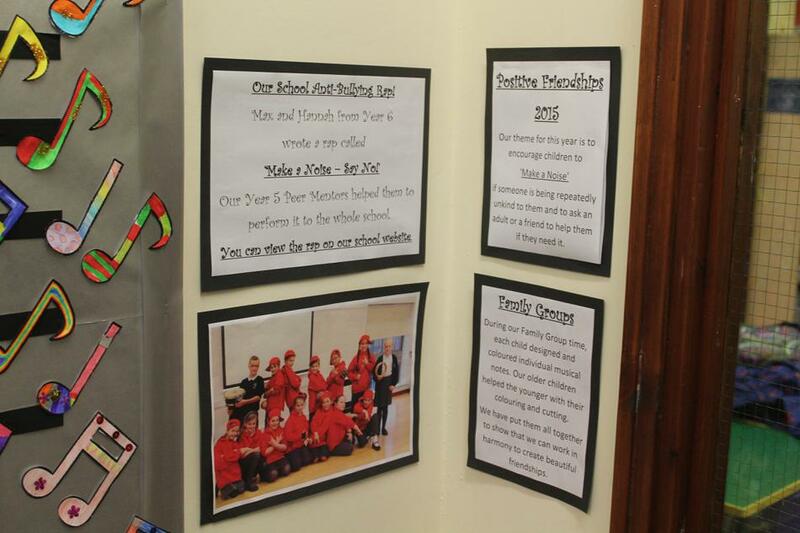 Should your child ever need some extra support in this area please make sure they don’t keep quiet but do indeed come and share their concerns with school staff. 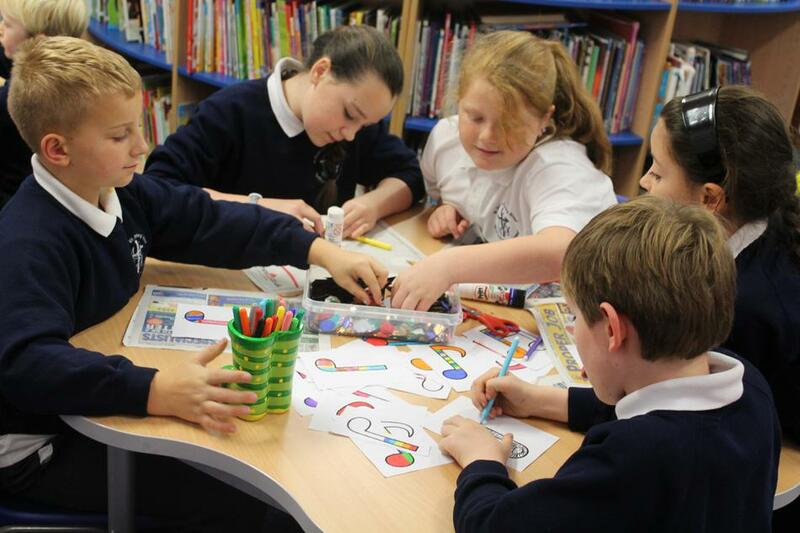 Class teachers, support staff, lunchtime staff and the Senior Management Team, all work hard as team to help support the kind ethos of St Mark’s. 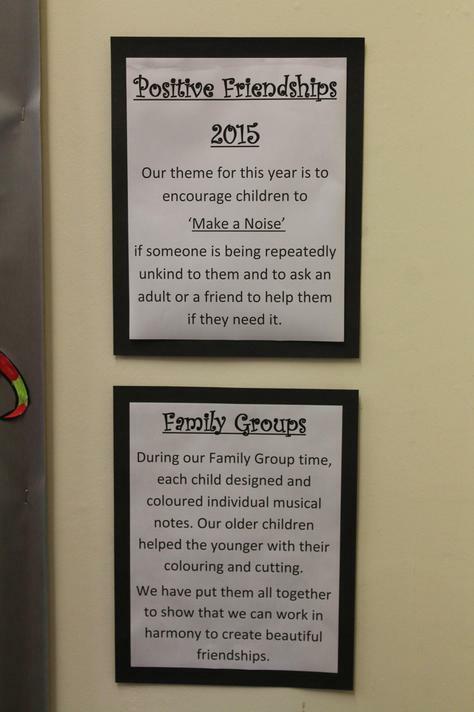 Mrs Davis, our Family Adviser is our school Anti Bullying Champion and is helping to lead a group of North Somerset Schools with the yearly campaigns and raising general awareness throughout all schools.